A user visits your site, registers, fiddles around with your service and leaves. A success right? Not if they are not coming back or aren't telling anybody about it. So if it is your job to make your product or service go viral, you've got a problem. We've seen before that most of the people online don't engage. 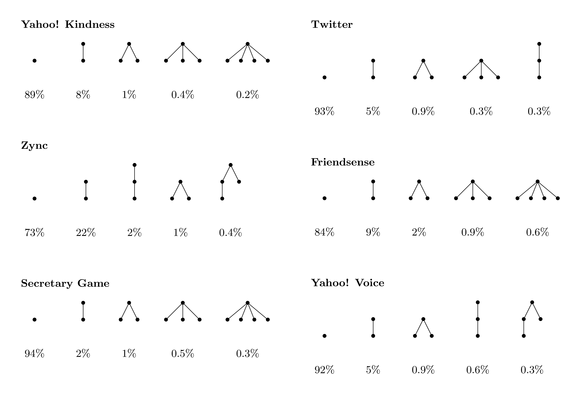 And a new study on the adoption patterns of various online platforms (Twitter, Yahoo IM,..) has more bad news. When people try out a new service, Twitter for example, they are very likely, 93% to be precise, to leave and never come back. Across all researched platforms this turns out to be the most common user behaviour. Only in 1-4% of the cases users will invite more than one person. Hardly something you can call a viral success story. 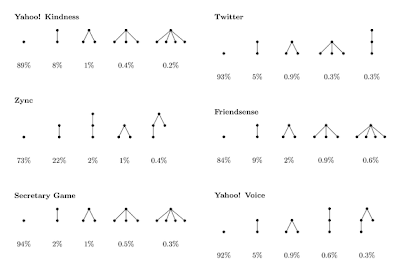 With the above patterns in mind, it is interesting to look at the recent introduction of Google+. Now that the false scarcity effects of the beta invites are fading, the press coverage is also decreasing. One real advantage they have opposed to a stand alone platform is possibility to force users back to the platform. Their integration and mergers with other services gives them extra touchpoints with users, which might tilt the numbers in their favour. I'm surprised how low these numbers are. But they give a very clear indication that it stays incredible hard to get your stuff out there. But nothing is stopping you from adding special viral sauce to it! Seth Godin calls this the 1% rule : one percent of your visitors subscribe, 1% will buy, 1% will write a reaction on your blog (book : Meatball Sundae, vertaling "Gehaktballen en Slagroom" p 92) It is like russian roulette: you don't know anymore who your fans or critics are. The bullet could be everywhere. Hi Rene, thanks for commenting! Subscribers, purchasers, commenters do indeed seem random a lot of the time. But this should be the starting point. Finding out who your fans are doesn't only benefit you, it also improves the value to your fans. Thanks for the book recommendation, hadn't got to that one yet!